Get back to the grind this Monday morning by kicking off UK Coffee Week in Marble Arch – what could be better, or more necessary, on the first day of the working week? We have caffeine curators that specialise in something for everyone, so whether you’re a purist, perfectionist or ‘two pumps sugar free vanilla, oat milk, low foam’-ist, we have the coffee drink for you! Why not go to one every day this week? Markus Coffee is one of London’s finest and oldest specialist coffee shops, having opened its doors at 13 Connaught Street in 1957 (where it still stands today). It’s alluring aroma of freshly ground beans lures in returning customers, including celebrities, locals and visitors, as well as supplies leading hotels and restaurants. We suggest their famous and sought-after Regent & Negresco blend. The shop and cafe stocks 34 varieties of coffee from 13 different countries so take your brew to go or even home for some more beanie goodness. 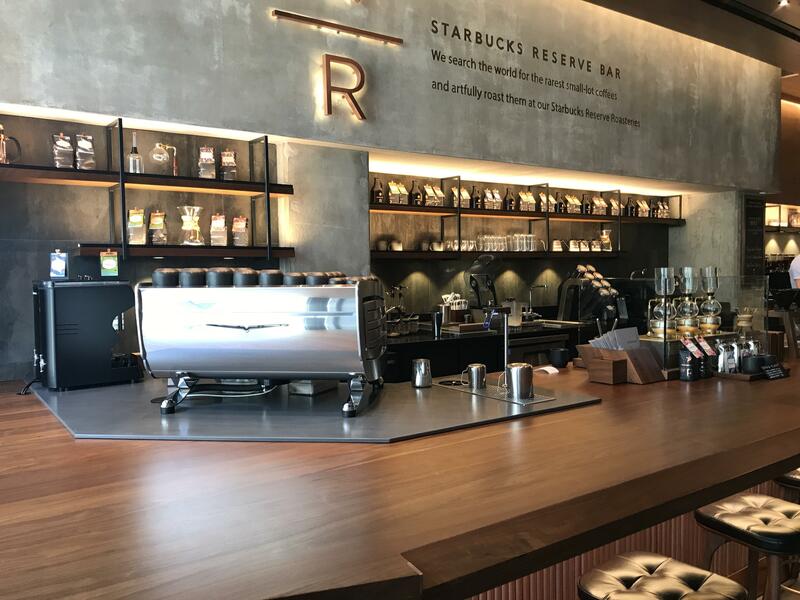 Starbucks Reserve is for those coffee purist sourcing the rarest and tastiest small-lot beans. One of only four in London, the concept is simple; the top 3% quality beans, sought out by Starbucks’ coffee scouts, and blended in front of you, just for you. Head downstairs for the full experience with art to buy and some rather sumptuous looking sofas to sink into while you sip away the afternoon tapping on your laptop and enjoying the finest coffee from around the globe. 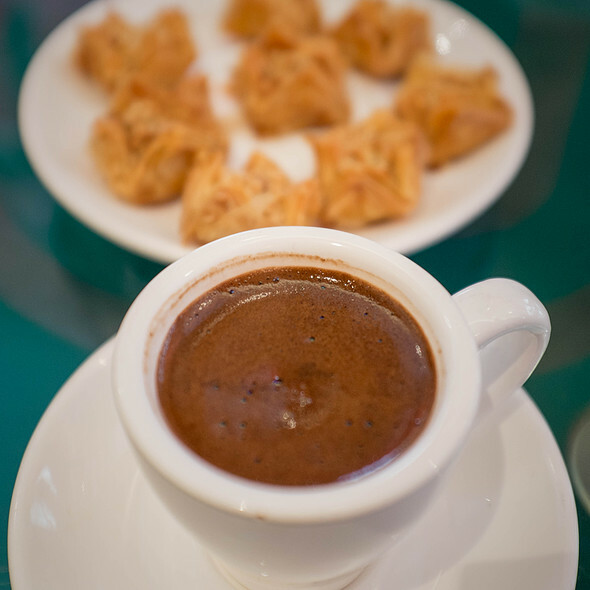 Maroush Bakehouse offers coffee for those on a serious caffeine culture kick with its Lebanese Coffee. Known as one of the strongest coffees you can have, it’s more potent than espresso, but enriched as its mixed with cardamon for a special spicy taste. 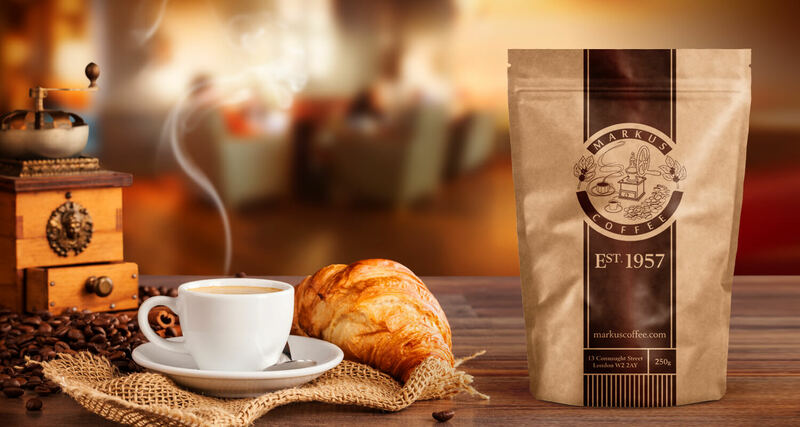 The secret to this powerful blend is the lies in the mixing of high-quality blonde and dark Arabica blends, as well as gently grinding the coffee into small particles for a delicious taste and rich body. Java U provides you with a homely, relaxed atmosphere perfect for a cup with your lunch! Like the city of Montreal that inspired it, the Java U brand uniquely blends the best of North American energy and convenience with the eternal elements of European style. The result is a hip, sophisticated experience delivered with friendly wit and originality. Gail’s has you covered if it’s fine coffee and pastry to match. Voted as the Best UK Coffee Chain in the 2017 Allegra European Coffee Awards, Gail’s means business with its beans. The House Blend, roasted by Union Hand-Roasted Coffee in East London, is “reminiscent of cherries and blackcurrants with notes of shortbread, and a Garibaldi biscuit finish”, which – to us – translate to delicious. PLUS, this month Gail’s has introduced batch-brewed filter coffee and launched its orange-infused Cold Brew recipe. Saint Aymes is just about the prettiest coffee parlour you’ll ever see. Don’t just take our word for it, check out why the world loves this tranquil haven of delicious cappuccinos and chocolates! Expect an escapist paradise where you can find great coffee, 23ct gold hot chocolate, enchanting cakes and of course, decadent chocolate covered in gold, obvs. 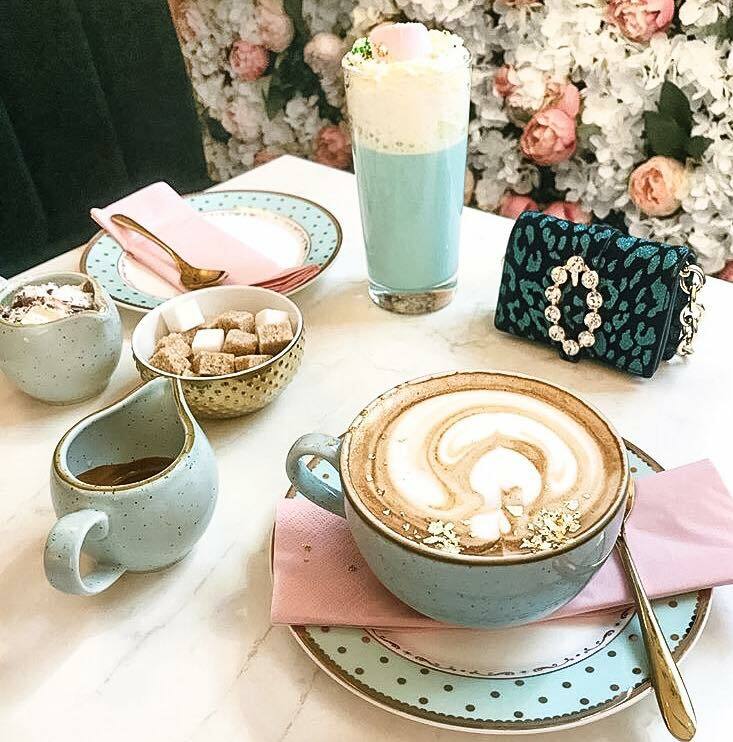 For a coffee boost, treat yourself to the 24ct Gold Cappuccino, for ‘the ‘gram’, you have to indulge in their signature 24ct Gold Unicorn Latte!